Without the knowledge of the Ministry of Defence, the Central Board of Excise and Customs had published details, including unit prices, of all defence products like bolts, missiles, and nuclear reactor parts India imported between 2004 and 2016, on its website. The BJP-led government has time and again refused to share the details regarding prices of 36 Rafale fighter jets India will buy from France citing national security issue, but a media report suggests the data on defence import is out in the open on the internet. The report says the Central Board of Excise and Customs had published details on its website -- including unit prices -- of all defence products like bolts, missiles, and nuclear reactor parts India imported between 2004 and 2016. It was only in 2016 after private business companies complained to the Prime Minister's Office, citing the loss of "transactional privacy" due to the CBEC making defence import data public, that the access to these details was barred on November 25, 2016. Moreover, the department had published all these details without the knowledge of the Ministry of Defence, the Wire reported. The data was later leaked to several websites like Zauba, InfoDriveIndia, Trade Intelligence, etc. 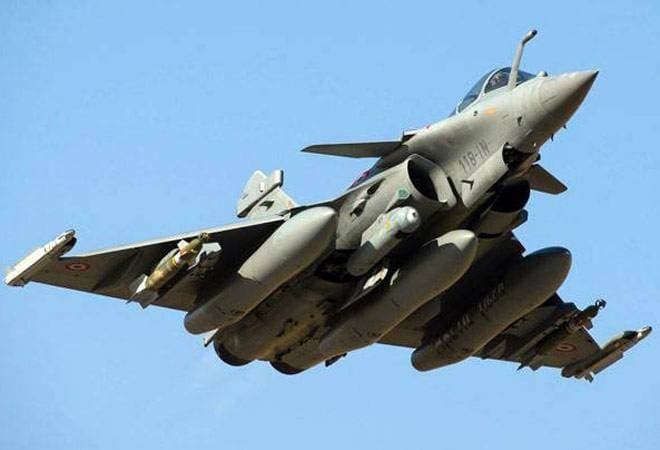 Giving brief details about the defence imports from France, the report claims Rafale maker Dassault Aviation sold India fighter jet Mirage and its upgraded version Mirage-2000 during the period. The data includes unit prices of all equipment sold to India to upgrade these fighter jets. Some of the upgrades were MICA missile role equipment, upgrade articles for Mirage 2000, etc. As part of Indian Navy Submarine Project-75, India's Mazagon Dock Limited, under technology transfer pact, imported steering gears, propellers, gas turbo generators, etc. Mazagon Dock is one of India's leading Defence public sector companies that construct merchant ships, warships, and submarines. The data also provided details about the import of defence equipment from other countries like Russia, South Africa, and the US. However, other countries like the US also make their defence import and export data public. Like India, private companies working in the US also sell trade data to other countries. All these details pose questions like should the government hold the customs board, which apparently made the defence data public without the defence ministry's approval, accountable, or it should acknowledge that there's nothing wrong in publishing such details, say defence experts, adding that revealing prices does not harm national security. French Defence major Dassault Aviation had signed a long-awaited contract with India for 36 Rafale fighter jets in September 2016. As part of the offset obligation, the French Dassault Aviation would also invest 100 million euros in India to make the components for the fighter jets and Falcon civilian aircraft. The Congress has been accusing massive irregularities in the Rafale deal, alleging that the government was procuring each aircraft at a cost of over Rs 1,670 crore as against Rs 526 crore finalised by the UPA government for the procurement of 126 Rafale jets. The deal negotiated by the UPA could not be inked. The Congress has also been pressing for price details of the deal, but the NDA government has refused to divulge them citing confidentiality provisions of a 2008 Indo-France pact. What is stopping 230 million Indians from transacting online?